Laugh and cry as you listen to Debbie’s biblically sound, yet practical, ways of following Jesus every second of every minute of every hour of every day. Be inspired by biblical truths that will take your walk with Christ to the next level! Learn how to love Jesus with all your heart, soul and mind and how to make Jesus “the pie”, rather than just a piece of the pie! This session uses the story of Mary and Martha to encourage women to choose, like Mary, “the best part”. The key to faithfully following Jesus is a matter of loving Him with all your heart. Discover how to follow Him despite all of your daily distractions. This session presents 5 practical ways to listen to Jesus; after all, listening is the only way to follow Him. Learn how to take your thoughts captive to the obedience of Christ, once and for all. This session teaches women how to lay aside every encumbrance and the sin, which so easily entangles us, and follow Jesus. 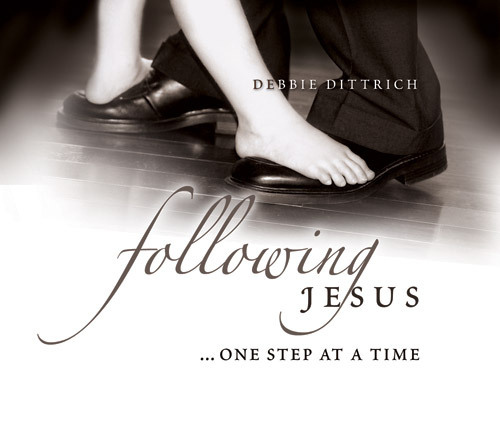 In this powerful session Debbie addresses the real issues that keep us from following Jesus, such as: Worry, people pleasing, perfectionism, condemnation and more. Would you happen to have a transcript of any of the above 3 sessions?We don’t have high speed internet and it is almost impossible to listen to audio or watch a video with our satellite dish. I’m very interested in these sessions. Terri, I have sent you an email! Hope to hear from you soon. I’d like to send you CD’s of that message.